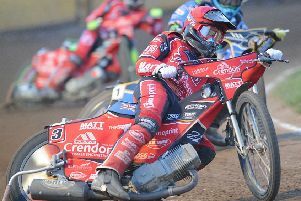 Peterborough Panthers have tonight (May 29) been forced to postpone their SGB Championship clash against Workington following torrential rain. The heavens opened at the East of England Arena just before the 7pm start-time and quickly left the track waterlogged. It is the second successive home meeting to fall foul of the weather after the postponment of a May 19 fixture against Berwick.